And countless DIY projects exist of mostly trays filled with pebbles and stones. 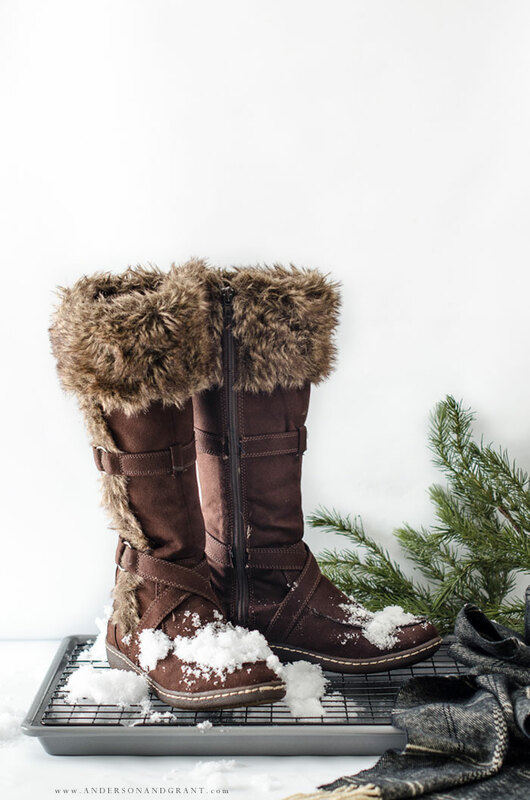 But if you are just looking for a basic tool to take care of those snowy boots, you really need to look no further than to gather a few items that would normally be used in the kitchen. 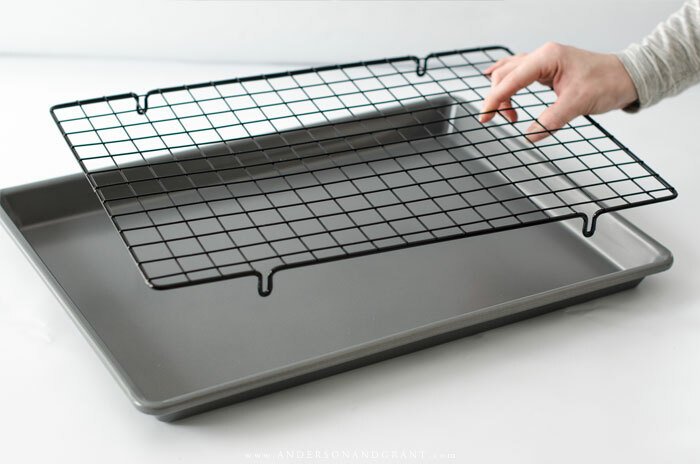 All that you need is a very basic cookie sheet and cooling rack. Of course there is no need to spend a lot of money buying the best quality non-stick surface since you won't ever be baking with these. 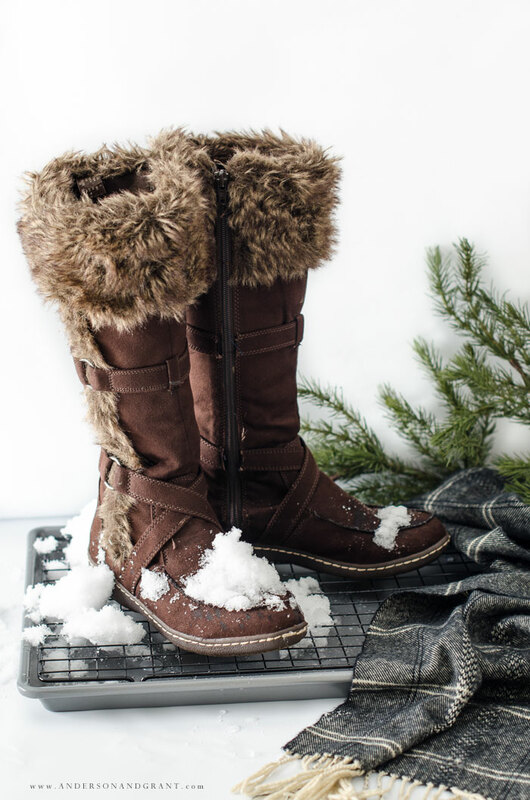 Something from the dollar store or Goodwill is perfect if you can find them. You may even have some already at your house that you've been meaning to donate. You simply rest the cooling rack down inside of the baking pan and voila! 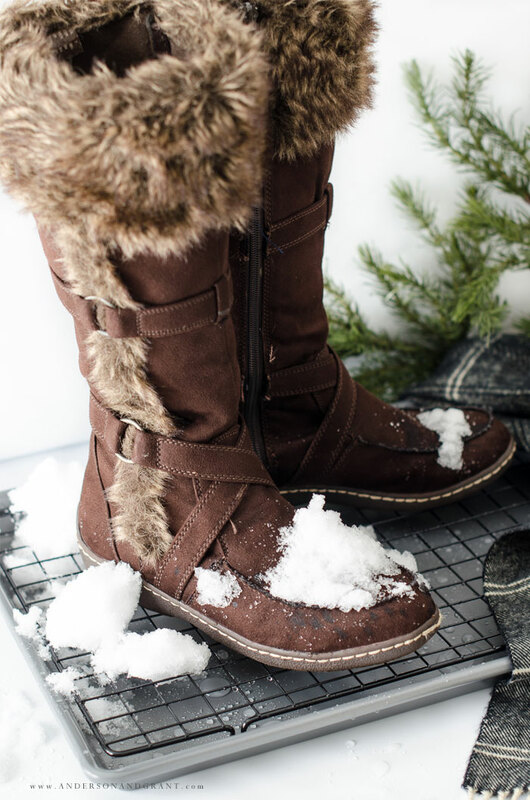 A DIY rack to hold all the snowy shoes coming inside. 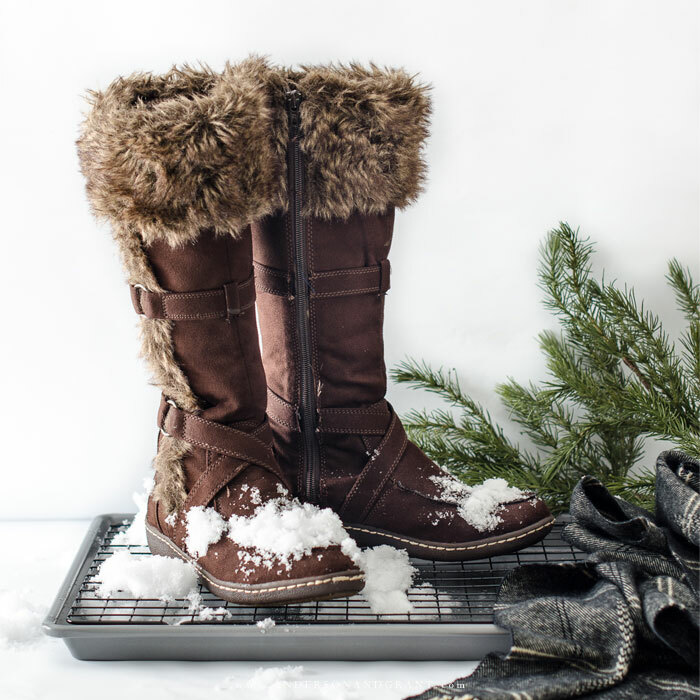 Because the boots are sitting up on the rack and completely off of the tray, the soles will dry easily as the snow melts off into the pan. 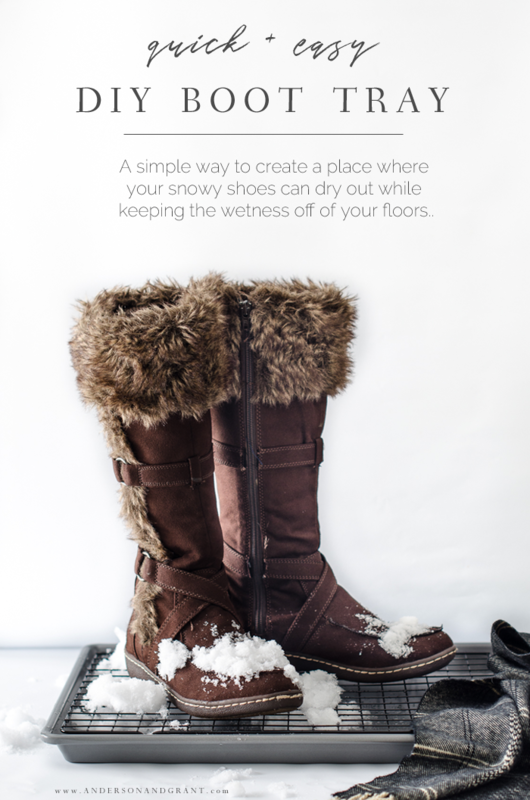 The air is able to circulate around the bottom of the shoes rather than letting them sit in the water. 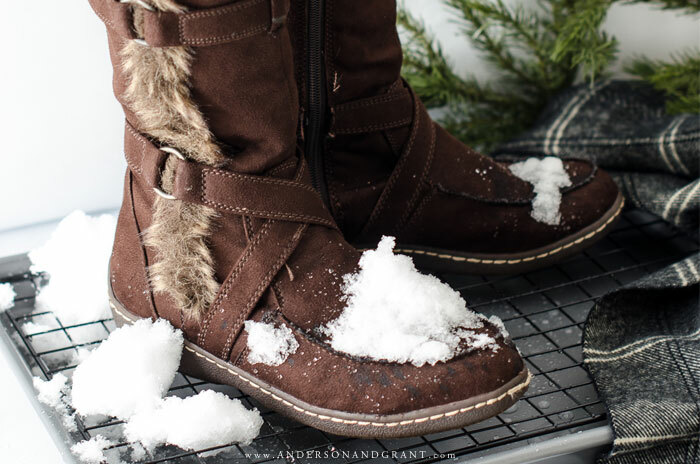 When the snow is off and the shoes are dry, simply pour the water that has collected into the sink, dry off the pan with a rag or paper towel, and you are ready for the next snowy day. The two pieces are able to be easily stored away until they are needed again and will last through many years of use.